By James Atwood. 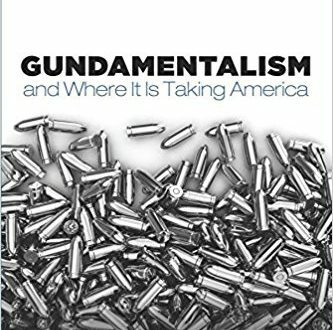 The work of a retired Presbyterian pastor and avid deer hunter, who for half a century who has been in the forefront of the faith community’s fight for two constitutional rights: the right to keep and bear arms and the right to live in domestic tranquility, free of gun violence. Explains why guns mystically control so many Americans and exposes the fallacies of the gun industry’s spurious claim that firearms actually protect us. Argues there are no bona fide scientific studies that show defensive guns save people from harm, while there is voluminous research showing a defensive gun puts the owner and his or her family at greater risk. Read more.